After a certain age many of us do not expect all that exciting a birthday, but mine this past week was a huge exception to anything I could have expected. First, on the day before, these spectacular flowers arrived from my son, Erik Karlsson. 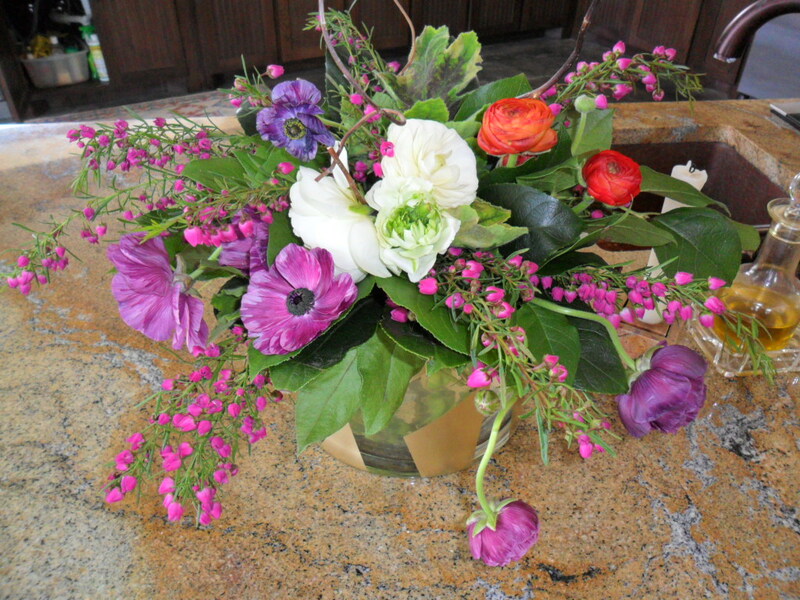 Parie Designs in Amarillo, Texas, really knows how to do flowers out of the ordinary. Almost two weeks ago, Walker Lewis, the Director, and Jeromy Hunt, the Production Stage Manager, of the upcoming production of Three Penny Opera (Amarillo Opera Company) arrived to stay with me for three weeks. Yesterday, my birthday, was an off day for them. 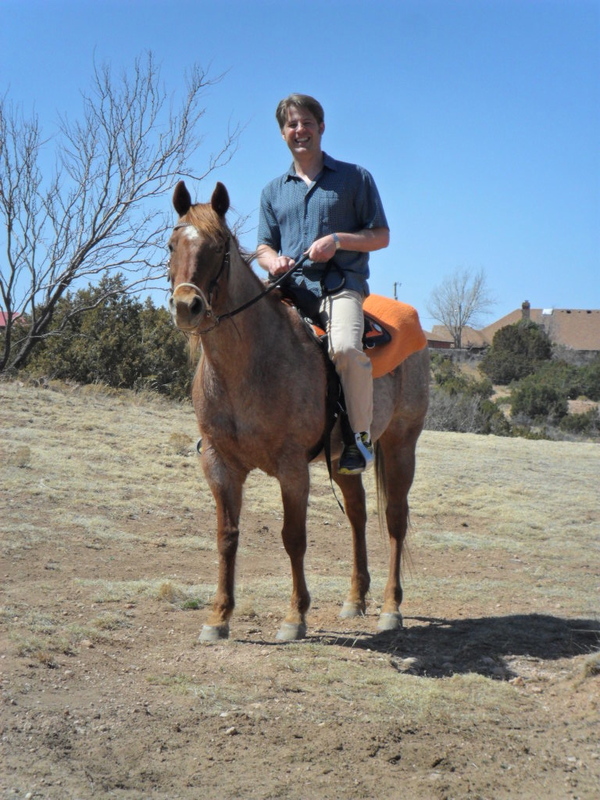 Chad Armstrong, one of the baritones, came over to ride my horse, Rosie. Romy and Walker gave me a bottle of good cab and bought me a birthday cake. We relaxed on the rim of wonder (my patio), ate, and rode Rosie. Then last night we all went to the annual opera gala. Unfortunately, one of the opera performer’s husband became ill so now I will have my tiny fifteen minutes of glory playing the madame of the brothel, pretending to smoke a cigarette, counting money, and watching “my girls” and the customers, or so they tell me. Later today, I go for a fitting and start the one week of rehearsals remaining until the first performance on Saturday night. I could not have ordered a better birthday. Chad Armstrong on Rosie, Walker on the left and Romy on the right. 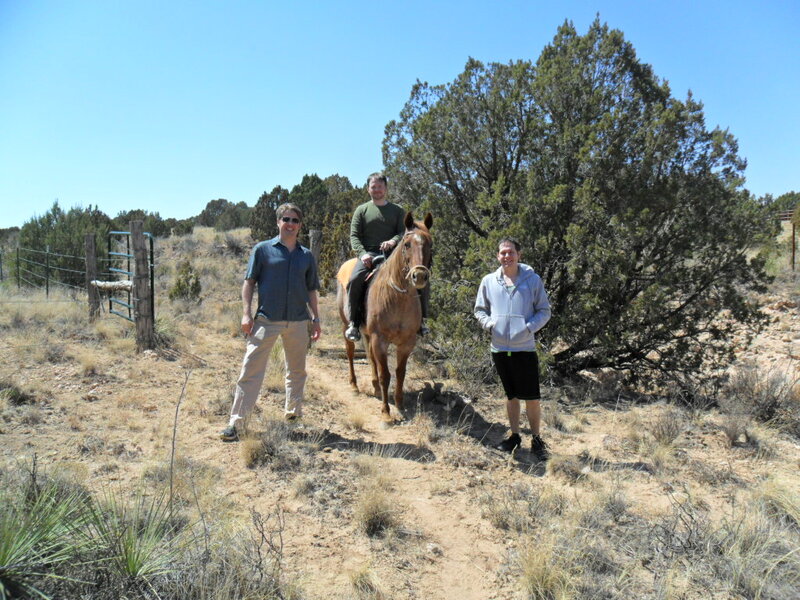 While Romy, Walker, and I hiked around, Chad rode off here and there, disappearing for a while and then showing back up. Rough riding in canyon country. Neither Romy nor Walker had ridden since childhood. 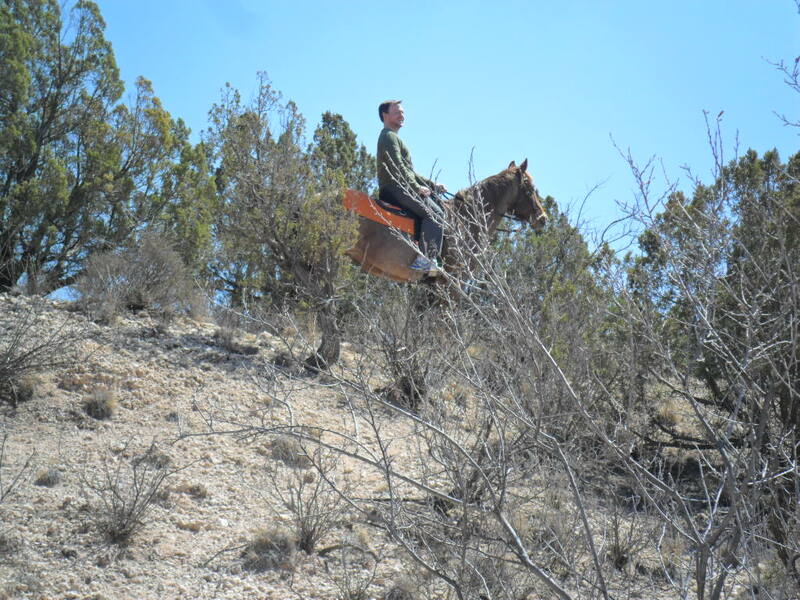 Walker Lewis learning to ride–on Rosie. He loved it and will ride again this coming week. He kept smiling all over!!! Romy on Rosie with my dog, Isabella resting in the shade of a juniper tree. 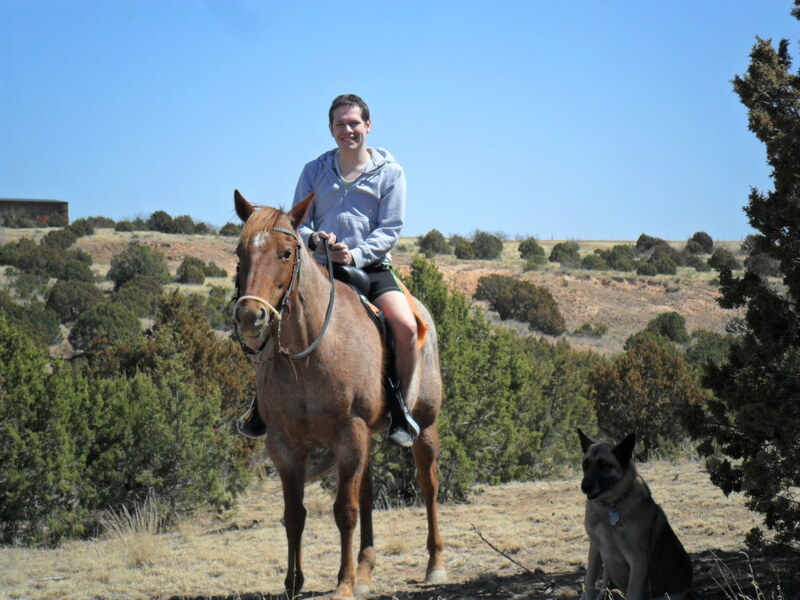 Apparently, riding Rosie produced so much fun that the other singers want to come over later this week and ride. Nothing beats fun friends, fabulous food, and pretty well broke horses for a day to remember!!! That’s wonderful, Juliana – and a part in the opera! Wow!